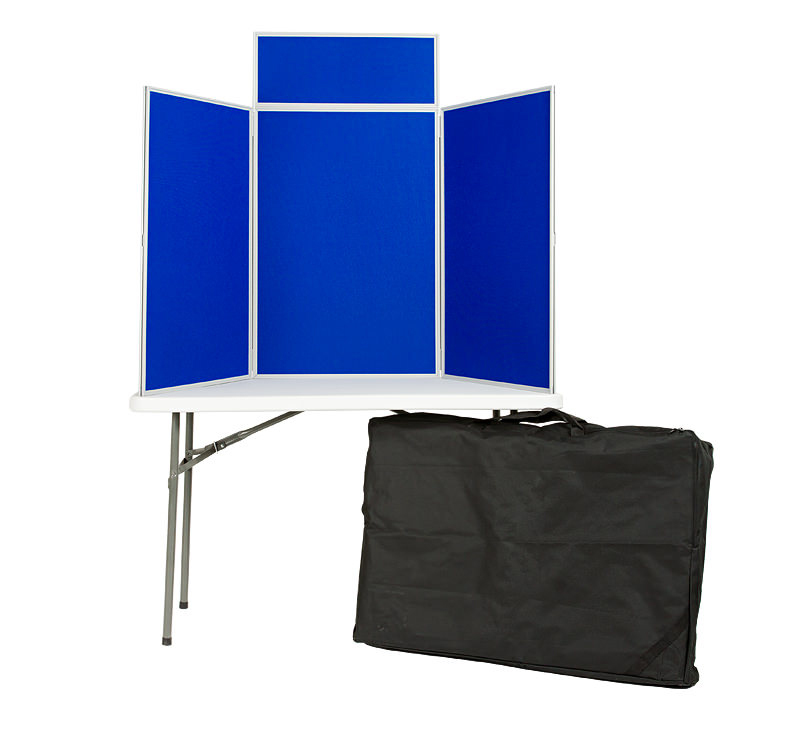 Folding tabletop display boards with PVC frame. Ideal for displays and exhibitions in schools. 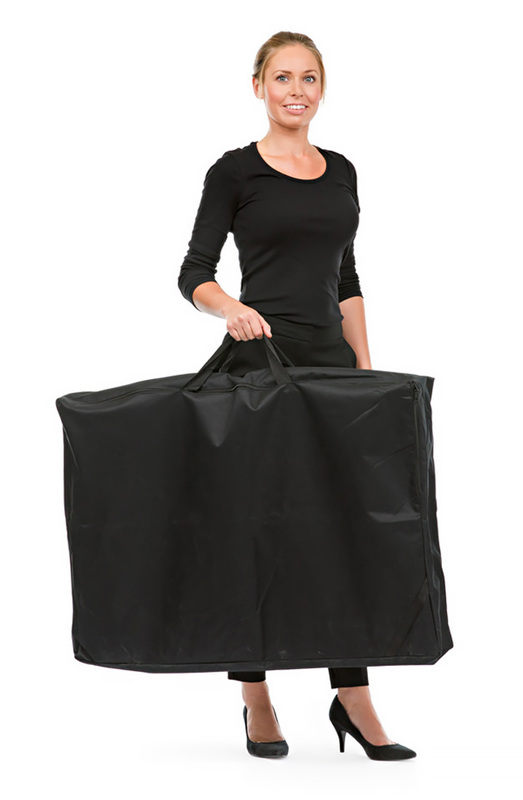 This lightweight display system is easy to transport as it folds away into the supplied carry bag. It consists of 3 panels (600mm wide x 900mm high) and a header panel (600mm wide x 250mm high). 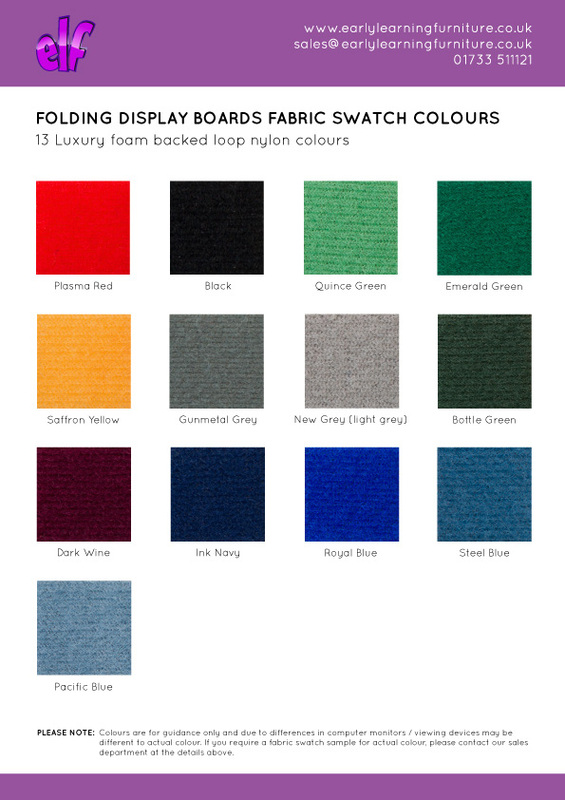 Each panel is covered both sides with Velcro-compatible loop nylon in a choice of 13 colours. The option of royal blue fabric one side with light grey on the reverse with grey frame is in stock for immediate dispatch on orders received before 2pm. Graphics can remain in place when stored as each panel is recessed to allow graphics up to 3mm thick to fix flush within the frame. Royal Blue/Light Grey fabric with grey frame is dispatched the same working day for next day delivery* for orders received before 2pm. Other colours are dispatched within 5 working days.